Myopia, or nearsightedness, affects millions of people in the U.S., the largest group of patients wearing eyeglasses or contact lenses. 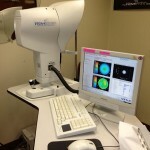 For most, this distance vision problem begins in grade school, often before the age of eight. For far to many, the decline in vision continues well into the late teens, and even early twenties. Analysis of recent studies determined the safety and effectiveness of orthokeratology versus soft contact lenses, rigid gas permeable lenses, and spectacles in children published in the American Journal of Ophthalmology, December, 2013. It “showed that the use of orthokeratology is a safe and efficacious nonsurgical treatment for myopia and that it is capable of slowing axial elongation, making it an effective myopic treatment for children”. In the last decade, the advancement in lens materials, allowing for overnight wear, and manufacturing lathes that can shape contact lenses down to the micron level have combined to allow for the control of myopia progression like never before. Recent clinical studies in peer-reviewed journals indicate, clearly, that myopia progression can be controlled using corneal shaping, also known as orthokeratology. 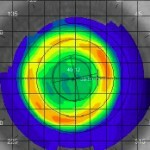 While orthokeratology has been around for awhile, new materials, new design systems and a host of clinical studies from all over the world make using gas permeable lenses worn while one sleeps a great option for slowing the progression of myopia. Children with myopia now have a way to minimize the progression of their nearsightedness while they sleep. Since all contact lens wear is during sleep, comfort issues rarely exist, and wearing contact lenses during waking hours is not needed!! Parents can rest at ease, as their child can function visually like every other “normally” sighted child at school and in sports. Dr. Jackson and Dr. King specialize in myopia control for kids and teens using the latest equipment and materials, and the most advanced lens design system in the world. 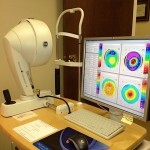 Click here to find out more about Corneal Shaping.